What should you do if they ask you not to contact them? How do you deal with not having them in your life? 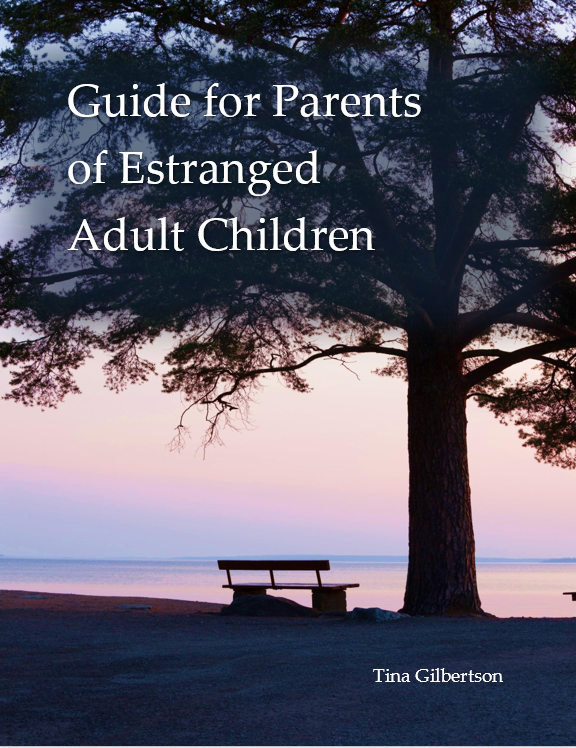 What do you tell people when they ask, &quot;Do you have children?&quot; These and many more questions are answered in this compassionate guide. If you're a hurting parent looking for answers, support and advice, this compassionate guide is a must-read. Tools for emotional healing, and much more. Written by psychotherapist Tina Gilbertson, author of Constructive Wallowing: How to Beat Bad Feelings by Letting Yourself Have Them, this 100-page PDF is chock-full of caring, thoughtful and practical wisdom. What should you do if they ask you not to contact them? How do you deal with not having them in your life? What do you tell people when they ask, "Do you have children?" These and many more questions are answered in this valuable guide. In addition, you'll be subscribed to a monthly newsletter just for parents in your shoes.